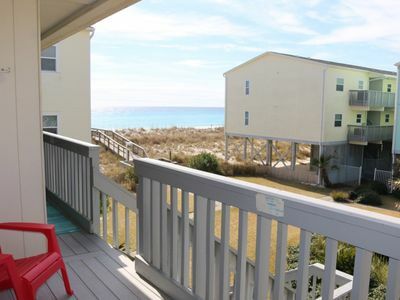 BREATHTAKING VIEWS OF THE GULF FROM THE BALCONY - Coastal cottage feel that is cozy and comfortable. 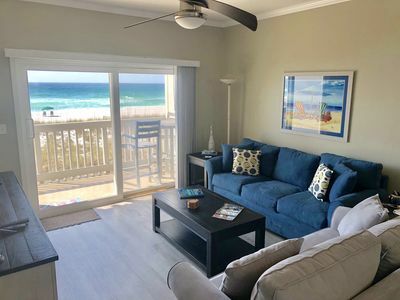 You’ll enjoy easy access to the beach from this gulf view condo along with local flavor offering shopping, restaurants and outdoor activities. 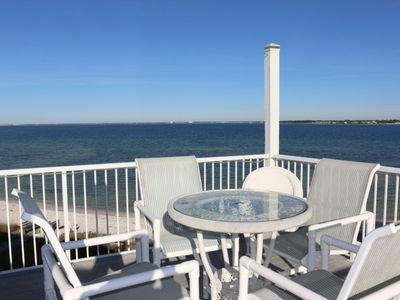 The condo overlooks the beautiful gulf waters of Pensacola Beach and is a short walk to the sugar white sands. 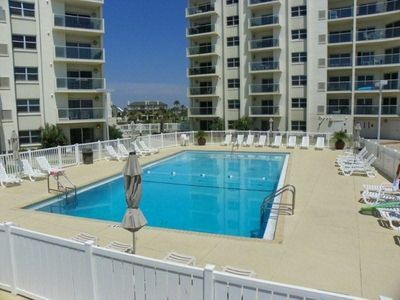 This 2 bedroom, 2 full bath condo offers all of the amenities and comforts of home. The master bath & second bath offer a beautifully tiled stand up shower with glass door. 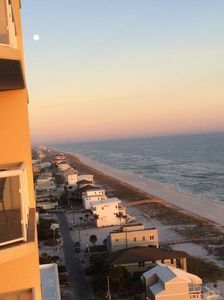 You can enjoy the view of your choice - sunrises or sunsets - from the balcony overlooking the beautiful vistas of the beach. 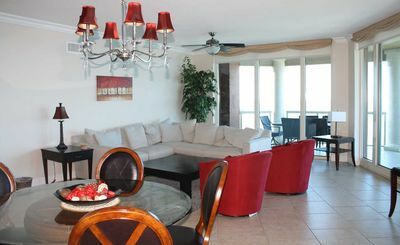 The unit sleeps up to 6 comfortably and offers a king size bed in the master and two double beds in the second bedroom. 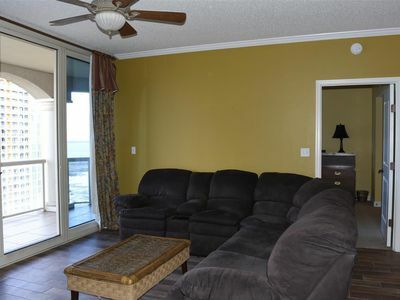 The beautiful updated floors really highlight the coastal feel. 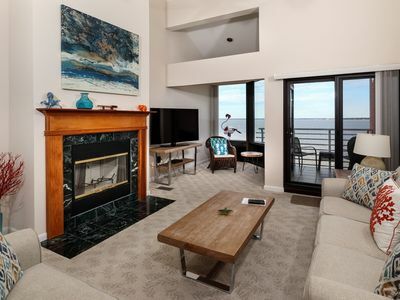 The condo is on the first level which is 18 stairs up off the ground. 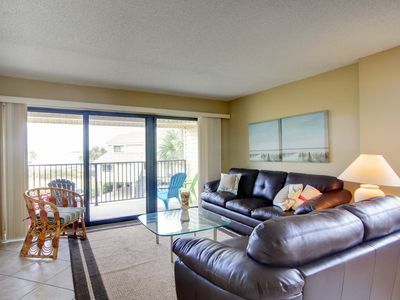 All of the necessities of home are included in this condo including televisions, DVD players, cable tv and wireless internet. The kitchen is fully equipped for preparing meals. 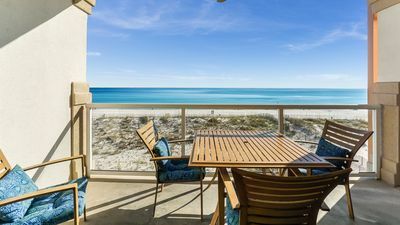 Or if your idea of a vacation doesn’t include cooking there are many local restaurants conveniently located at Pensacola Beach offering great food and fun times. There is a washer / dryer located in the condo. We offer the best value on the beach and invite you to come and enjoy this beautiful playground as well as take in the local sites and sounds. It's always better at the beach. Choose "OTHER PAYMENT OPTIONS" if you would like to pay by check. 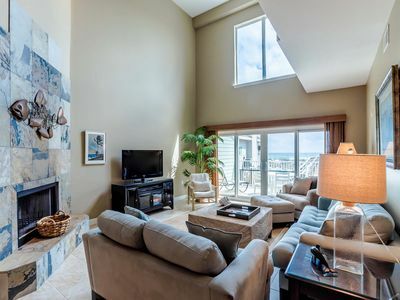 Luxurious 19th-floor condo w/ shared pool, hot tub & tennis - snowbirds welcome! 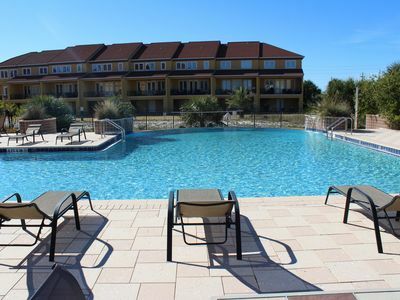 Book Your Last Minute BEACH Vacation! 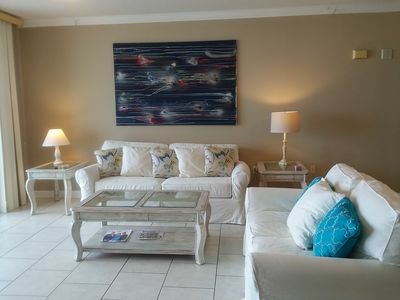 Fantastic 3 Bdrm/2 Bath Condo A few steps to the sand & Gulf of Mexico! FUN IN THE SUN! 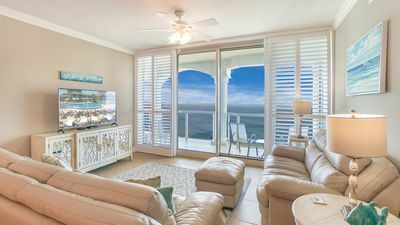 Beautiful Gulf Front Condo! 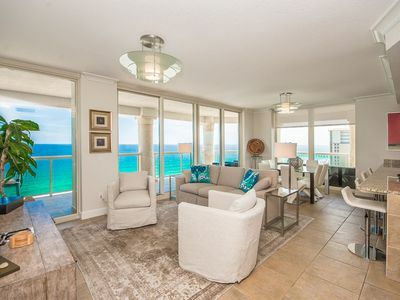 Palm Beach Club 218 - Ready, set, book for spring! 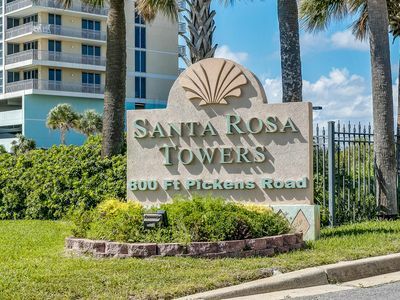 Experience the Santa Rosa Magic from this Pristine Townhome on the Gulf! 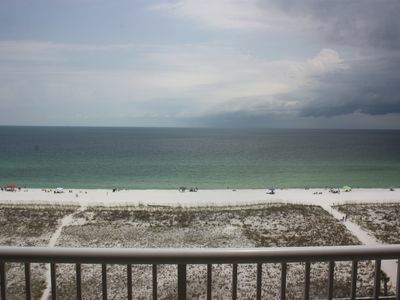 15th Floor "My Blue Heaven" Gulf Front 100 plus positive 5 Star ⭐️ reviews ! 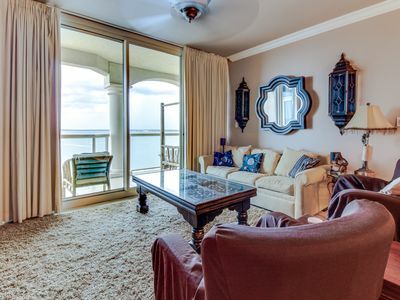 Gorgeous 2 Bedroom 2 1/2 bath Town home with Stunning Gulf views. 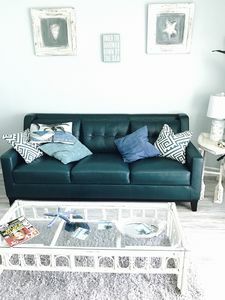 Light, Airy & Serene. Ready for Vacation? 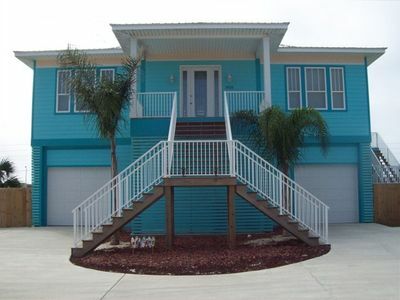 Island View Paradise 5-1706 with Beach Chair setup included!